You’ve probably seen these townhomes before, which are remarkable thanks to their interesting curved metal roof. From the outside, you’d probably expect all of these units to feature some kind of contemporary decor inside, maybe lots of black leather and low-slung couches, with glass-topped tables and colorful modern art. You’ll be pleasantly surprised to see unit No. 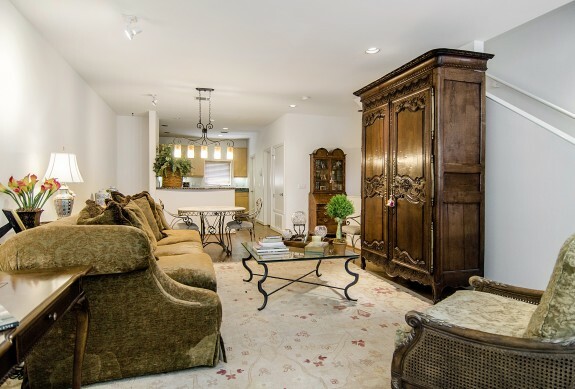 8 at 4100 Travis Street, a gorgeous end unit with museum-quality finishes that feels warm and inviting inside. It’s full of antiques and plush furnishings, showing that while the exterior of this building may be modern/contemporary, the possibilities inside are endless. 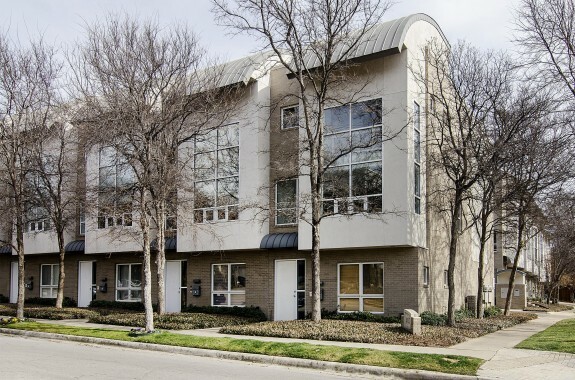 This gorgeous townhome, available for lease from Dallas-Fort Worth property management experts LocalDwelling.com for $2,395 a month, has three bedrooms, two and a half baths, and a spacious open floorplan. 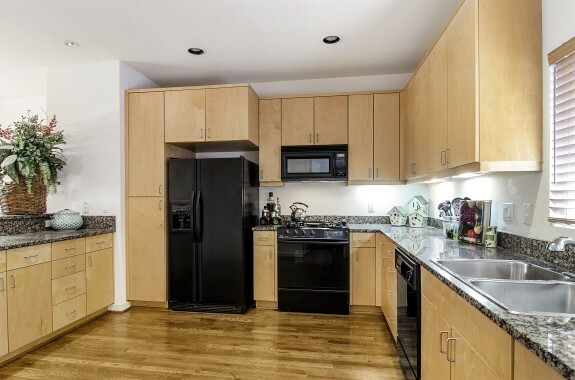 With three floors and more than 2,100 square feet, this unit has plenty of room for anyone who wants to downsize and try on city life for a change. 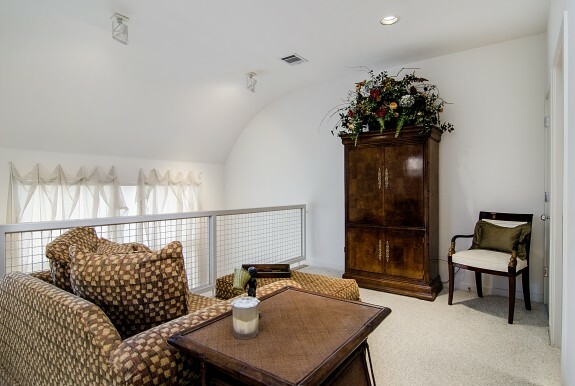 This location is amazing, considering that you’re within walking distance of the West Village, the Katy Trail, and all of the fantastic shopping and dining that Dallas’ Uptown district has to offer. And thanks to its location, too, this end unit will give you extra privacy and more windows from which you can soak in urban life. It’s a great place for anyone looking to relocate to Dallas, but not ready to make the commitment to buy. Look like the townhome for you? 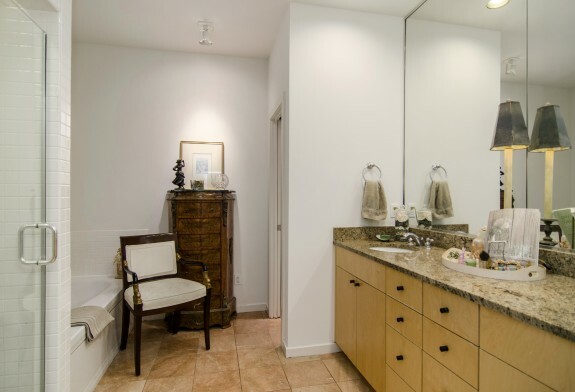 This luxurious unit can be yours today. Contact Jason Lucas at LocalDwelling.com.